On Saturday, we present to our guests: Club night, an evening that appeals to many target groups, of various ages. From the DJ booth, there is a lot of interaction with the guests on the dancefloor. Our guest will last for nothing: customer-focused bartenders, the best DJ’s, MC’s and the most attractive dancers. The best entertainment! 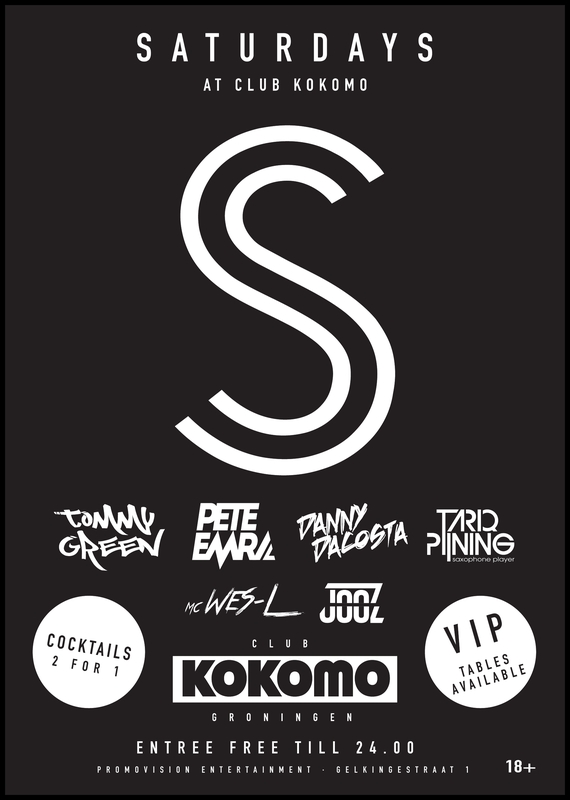 The last Saturday of the month is all about: Club Kokomo Invites. Aside from our residents, we invite an external DJ. This makes the last Saturday of the month a true experience.